2) At least 10 papers published in independent scientific research journals or Hirsch Index or i10 Index of at least 10. Winner will receive .911 Bitcoin (now worth about $480) for charity or his/her research. 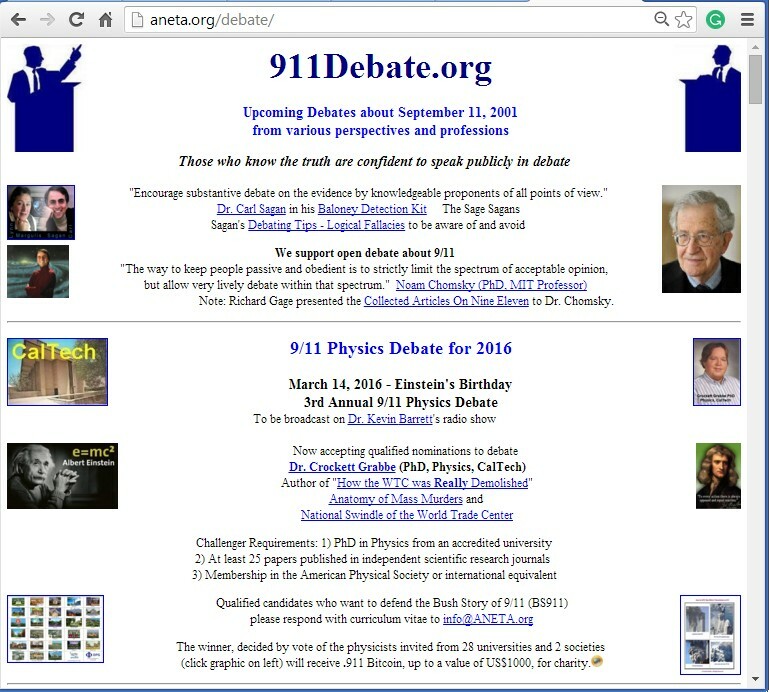 For the 3rd year, no PhDs in Physics with Hirsch >=10 have been willing to support the Bush Story of 9/11 (BS911) in debate. Dr. David Griscom (PhD, Physics, Brown Hirsch =52) won in 2014 and 2015 by default. Dr. Grabbe says that the BS911 violates all 3 of Newton's Laws of Motion.